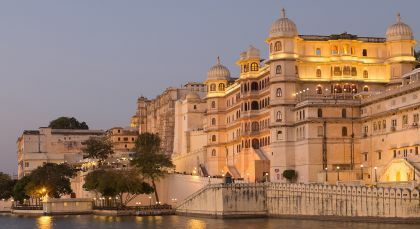 Jewels and secrets abound within Rajasthan, with its regal history and intriguing localities. 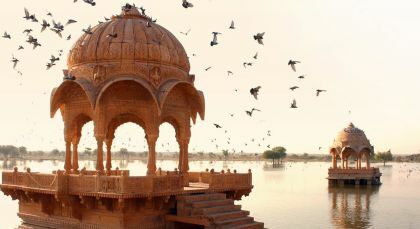 Discover them all on this unique Rajasthan tour. 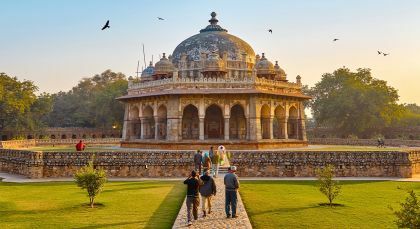 Get an in depth experience of the region as you explore colorful cities and larger than life palaces amid bucolic charm. 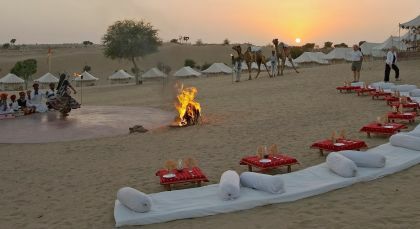 Head out on camel safaris through quaint desert villages! 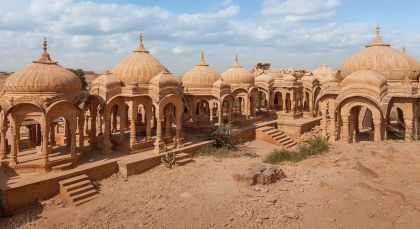 Jaisalmer, the Golden City of Rajasthan, evokes haunting memories of a bygone era with its lofty architecture and old world charm. Arranged exclusively for you by Dev Shree hotel, take a fun train ride along the hilly terrain of the Aravalli range from Phulad to Khamblighat. 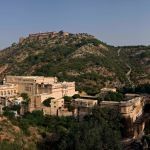 The Aravalli hills are some of the oldest volcanic hill formations in the Indian sub-continent, even older than the Himalayas. 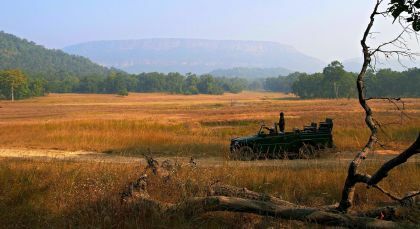 Get a glimpse of the raw beauty of this Indian outback on your local train ride. Catch passing sights of small town life in this part of the world. Hold on to your seats as the train traverses the hills, all the while gaining gently in elevation. 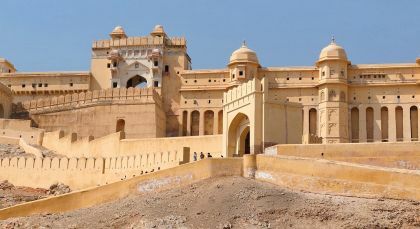 Catch splendid views of the vast valley spread out before you, along with deep gorges and distant ridges, before easing into the flatlands of Khamblighat. Interact with your fellow travellers, accompanied by your local guide and translator from the hotel. If you’re lucky, you may even find a bride or a groom sharing your train compartment, as part of the wedding group travelling to the next station for the ceremony! (Half Day; Fitness Level: Easy). Samode Village invites you to experience regal majesty within a rural Indian setting. Receive an education into the Indian school system! Set out for a half day visit to various government and public primary schools, where you can observe and engage in classroom activities. Your local guide will introduce you to several teachers and staff members, and you will have the opportunity to mingle and play a game or two with the young students! This rewarding and insightful experience allows needs to be arranged in advance and are subject to not clashing with public holidays, when schools remain closed, and are only possible on week days. Accommodation in one double room for 17 days / 16 nights. 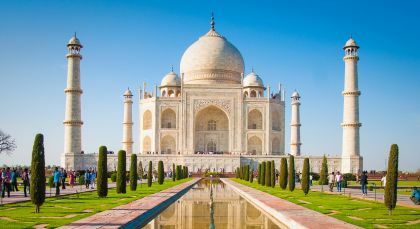 Enchanting Travels put together a great itinerary for our India adventure. We added a stop in Pushkar. They scheduled it along with a guide for no additional fee. All of our guides as well as our chauffeur could not have been better. A great time.